We're proud to share that our parent company, Vogel Holding, has recently invested in state-of-the-art sorting and processing equipment for our sister company, TC Recycling. 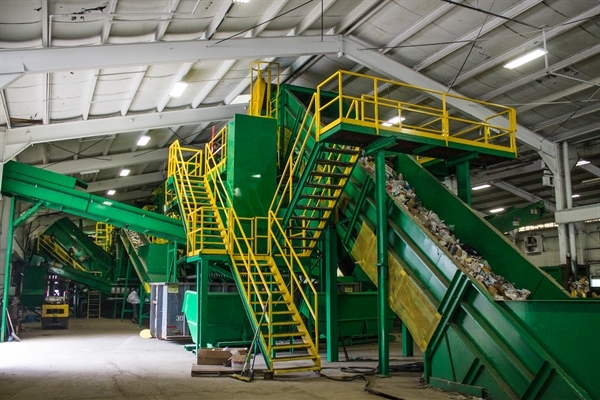 The recycling line has been completely overhauled with a new system able to process 600 tons of recyclables per week - four times more than before! This massive investment is helping divert more recyclable materials from the landfill in a faster, safer, and more efficient manner. The new equipment sorts material types automatically using magnets, optical sorters, glass crushers, shakers, blowers and other methods. Because of its efficiency, it increases our ability to offer single-stream recyclable collection to our customers. To see the new equipment in action, or read about how single-stream recycling works, visit www.tcrecycling.com. Contact us if you have questions about recycling collection in your area.